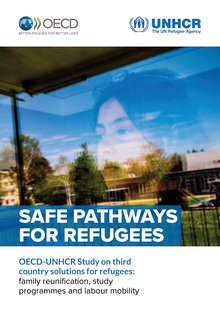 A study by UNHCR, the UN Refugee Agency, and the OECD, the Organisation for Economic Co-operation and Development titled “Safe Pathways for Refugees” shows that more than 560,000 people from Syria, Afghanistan, Iraq, Somalia and Eritrea entered OECD countries through family, work and study permits in an eight year period. The Grand Bargain struck by more than 30 humanitarian donors and aid agencies at the 2016 World Humanitarian Summit set out to reform the aid system so it is better prepared for tackling the emergency needs of people affected by crises worldwide. 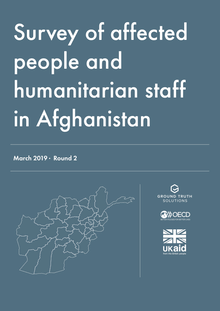 Since then, Ground Truth Solutions and the OECD, with support from the German Federal Foreign Office, have endeavoured to set a baseline for tracking the impact of the Grand Bargain at the country level through the experience of affected people and aid providers. 20/06/2018 - Migration flows to OECD countries have dropped slightly for the first time since 2011, with around 5 million new permanent migrants in 2017, down from 5.3 million in 2016. This trend is mainly due to a significant decrease in humanitarian migration as a result of the decline in new asylum applications, with 1.2 million applications in 2017 compared to 1.6 million in 2016, according to a new OECD report. 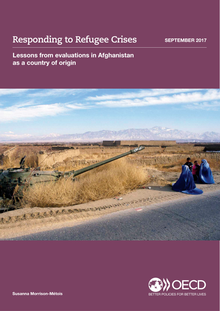 The Afghanistan country report is not another experts' report. Fragile states present acute and persistent challenges for their citizens and for the international community. Most are off target for meeting the Millennium Development Goals. Many lack security and political stability. All suffer from a degree of social unrest and division. International actors are actively involved in these countries across the agendas of development, security, diplomacy, trade, migration and beyond.